Design and build a lovely, unique and responsive wedding website that is both informative and convenient for all of our wedding guests. 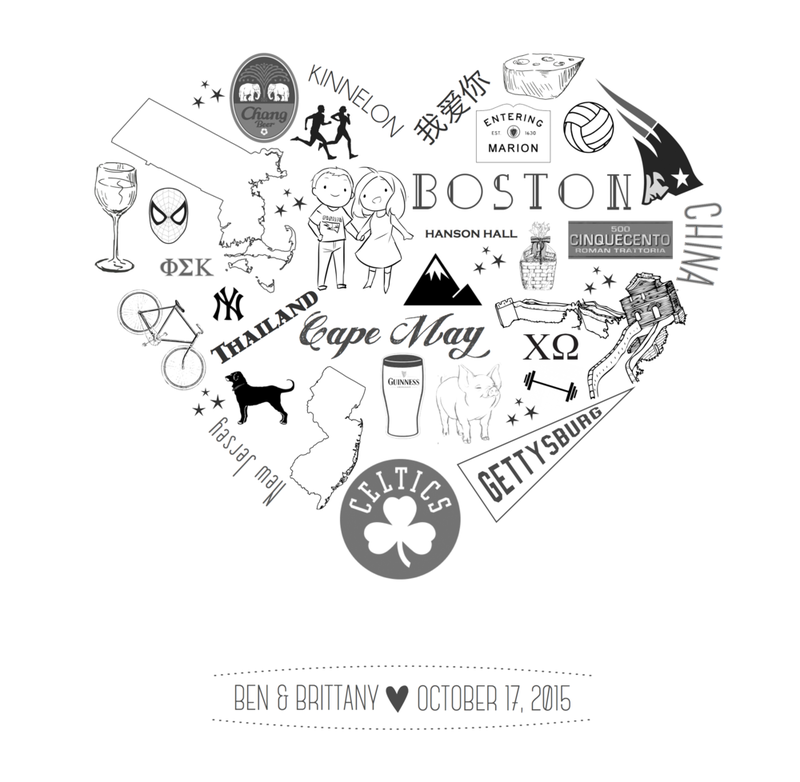 I took to internet to get some inspiration from some of the current wedding websites out there. I found some amazing sites that blew my mind with their creativity! I started to go down a rabbit hole, tagging and pinning dozens of features that I wanted to include. Soon my "Wedding Website Inspiration" bookmark was piling up, and I decided it was the perfect time to use the MSCW method to narrow it down. After a few sketches and playing around with the layout, I decided to reduce the number of clicks and keep it a single-page website. The navigation at the top would let you jump to each corresponding block of information, rather than take you to a new page. 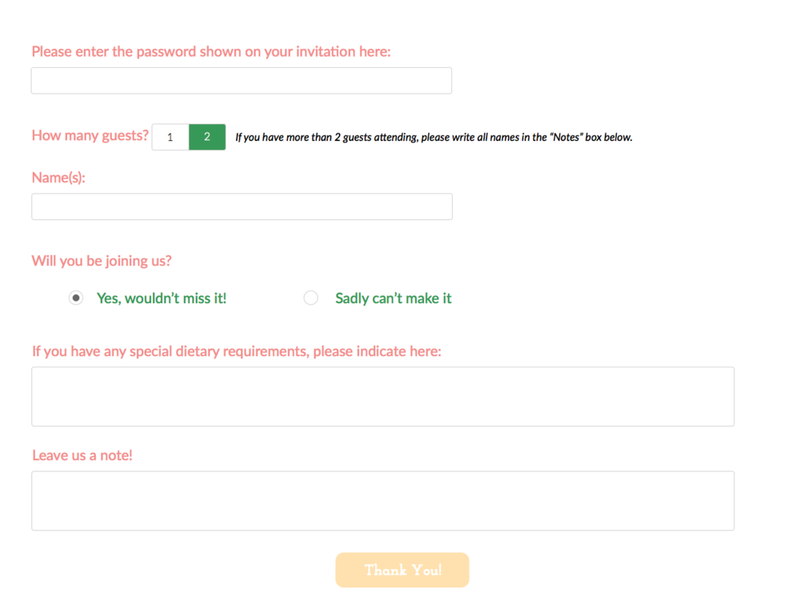 We also decided to add in an RSVP feature online so guests didn't have to mail anything back to us. However, the website is public, and we wanted to avoid any strangers/non-guests RSVPing and causing confusion. So we included a password on the invitation (sent old-school snail mail style.) The submitted RSVP form would not go through unless the correct password was entered. While most guests were able to respond, we got a few phone calls from some of our older guests that found it more challenging to navigate. All in all, it worked out pretty well!